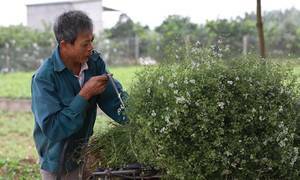 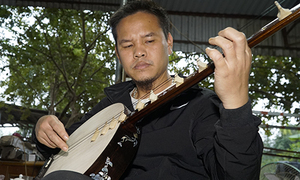 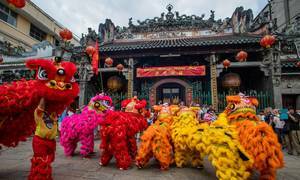 Many downtown streets in Hanoi have been jazzed up for Tet celebrations and each has its particular attraction. 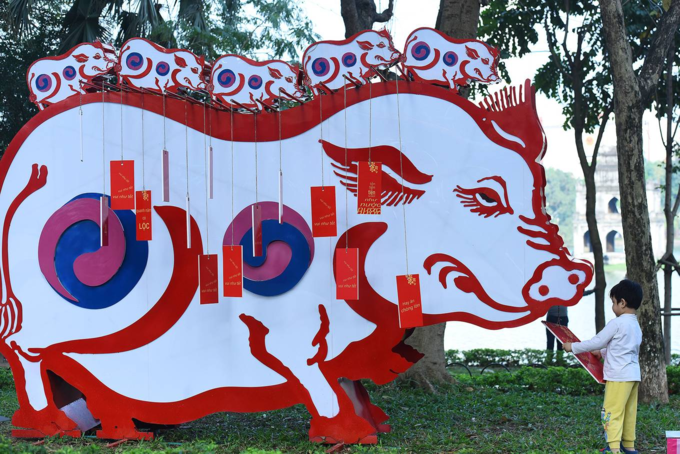 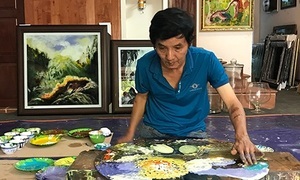 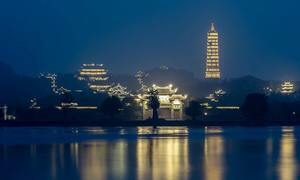 A copy of the yin-yang mother pig and piglets from Vietnam’s renowned Dong Ho paintings has been erected on the banks of the Hoan Kiem Lake (Sword Lake) at the city's center. 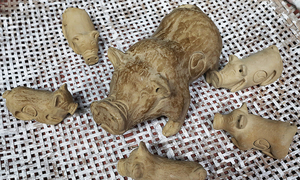 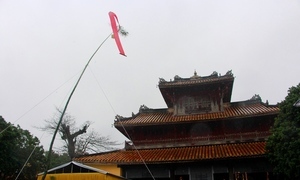 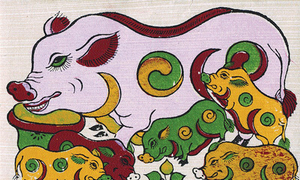 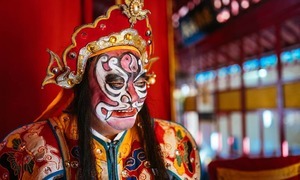 The pig is the zodiac animal of the coming Tet, Lunar New Year Festival, which falls on February 5. 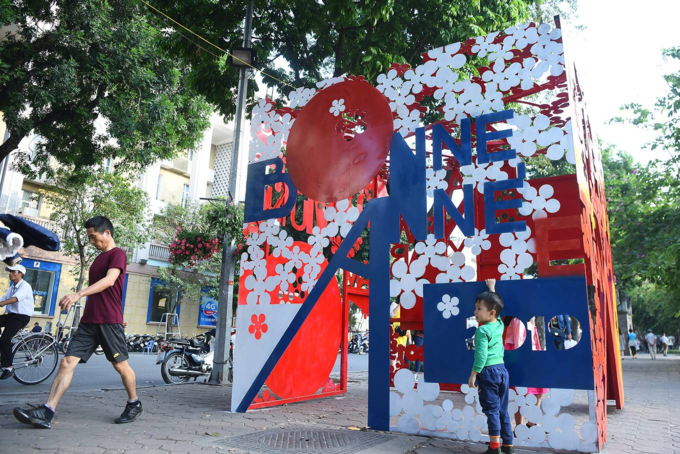 "Happy New Year" in French, inscribed on an installation on the pedestrian street around the Sword Lake. 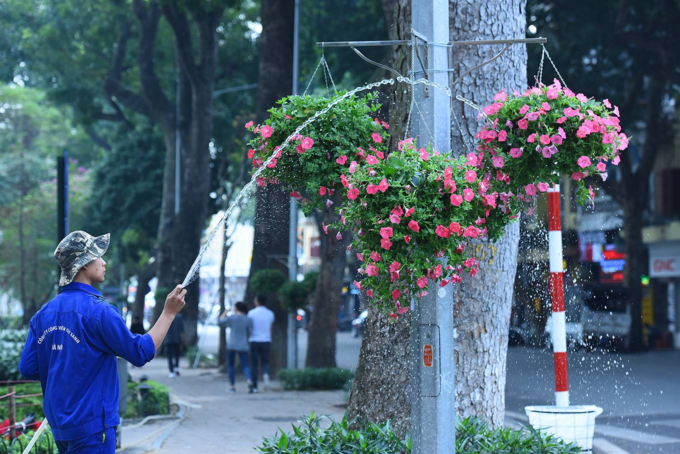 A worker waters flowers hanging from lamp posts near the lake. 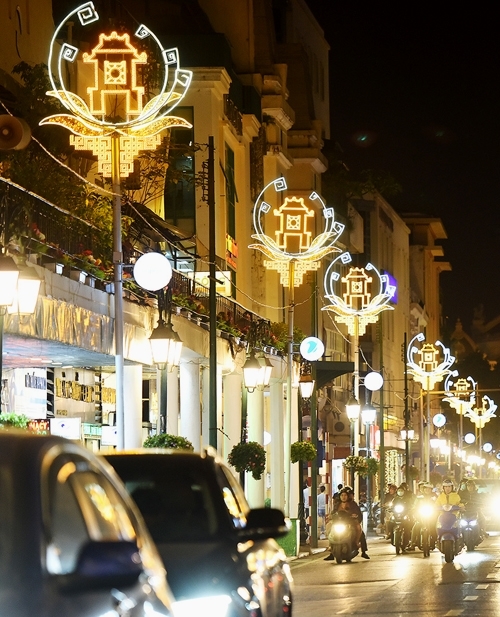 Trang Tien Street is lit up with designs in the shape of a Hanoi icon, the Temple of Literature, the first university in Vietnam. 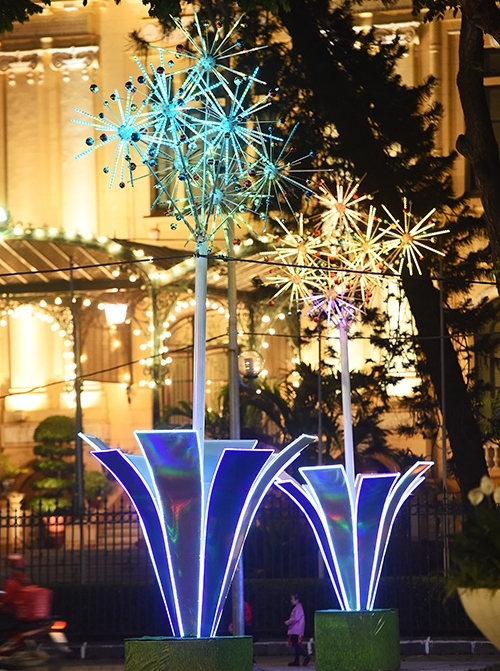 Ngo Quyen Street sparkles with lights that depict fireworks. 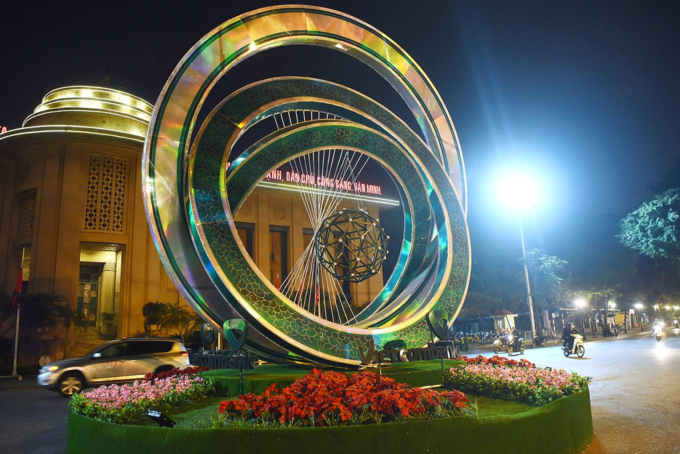 A spectacular circular installation shines in green and gold in front of the State Bank of Vietnam’s office in Hoan Kiem District. 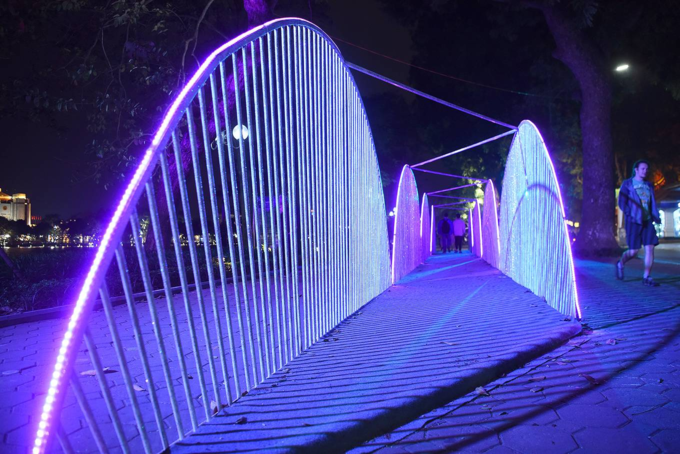 An installation of arches resembling a bridge, erected on the walking street by the Sword Lake. 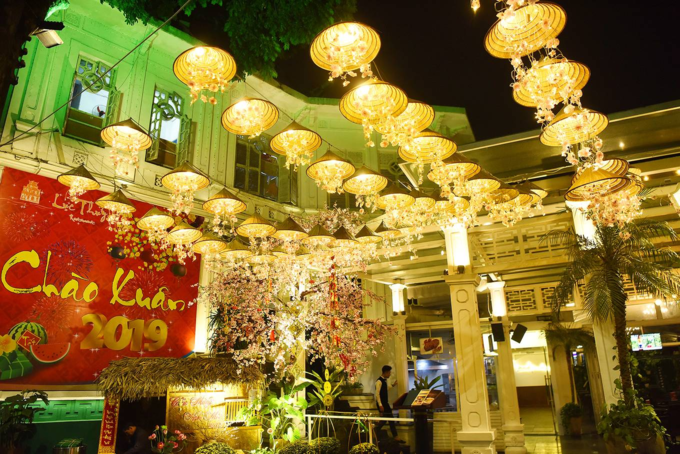 A restaurant on Le Thai To Street has decided to use the non la, Vietnam’s conical hat, as the overhead lighting for a glittering Tet piece with banners, flowers and other decorations.